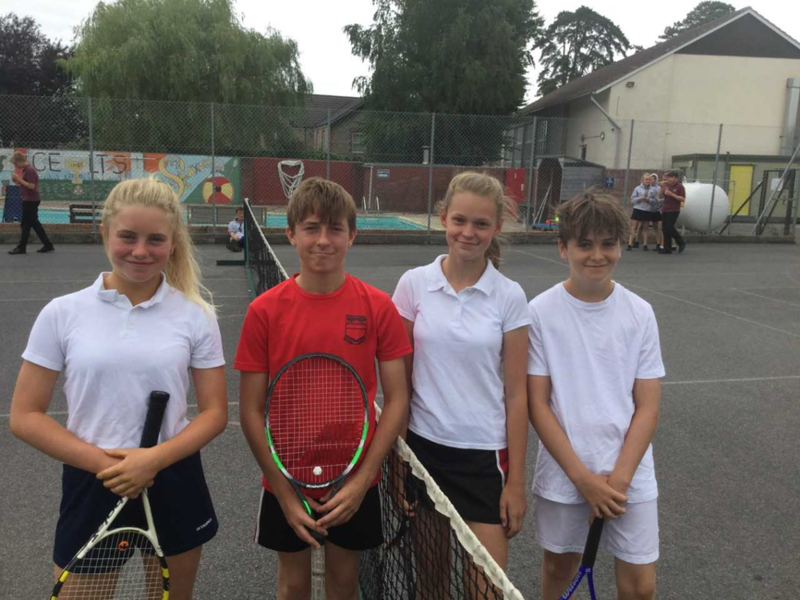 Year 8 Mixed Doubles Final. 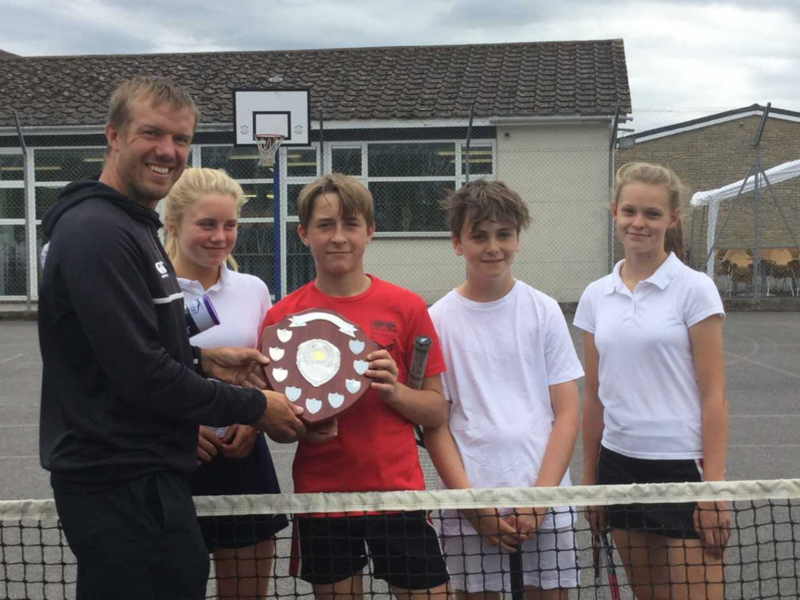 Many congratulations to George and Maisy who emerged as Champions in the year 8 tennis finals. 32 mixed doubles pairs entered the event culminating in a first to 5 matches final. Aidan and Ella meet them in the final and contributed to a great event. They played with real spirit but couldn't finish off the close games. Maisy really stepped up her performance in the final and pulled off some excellent shots to put the game beyond doubt. George successfully combined a ruthless efficiency with a kind understanding that he has experienced a lot more competitive tennis than the other 3; a fine and commendable personality trait. Overall it was a lovely event and one that will now become part of the summer sports program.